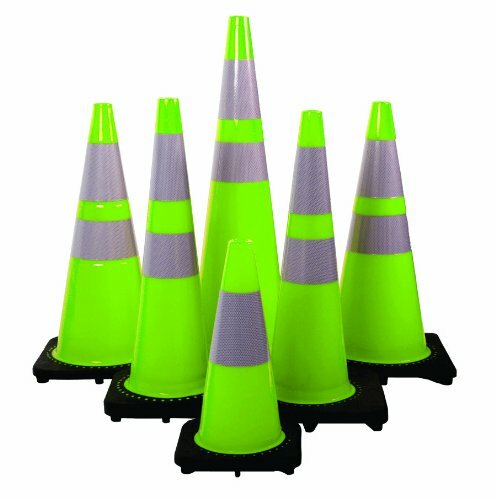 Mutual traffic cones are one of the most durable on the market today features a softer base and very competitive pricing. Available with 3 pounds reflective style. Available in lime color. 18-inches height.